Jasbinder (Jas) Singh Chana, the talented hockey player, who played for England U21 and represented the country at the Junior Hockey World Cup in Ipoh, Malaysia in 1989 died on Tuesday, 21 February 2017 following a short illness. He was aged 46. Jas was born on 15 September 1970 in Kampala, Uganda. His family emigrated to the UK in 1972 following the expulsion of Asians during Idi Amin’s political regime. He started studying at Lozells Primary School Birmingham before moving to Handsworth Wood Boys School where his hockey career started. He played for the school team and Handsworth Eagles Hockey Club. 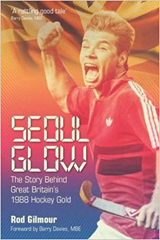 He then went to Matthew Boulton College, Birmingham for further studies and joined Bournville Hockey Club where his talent really blossomed under the guidance of Neil Mallett, the former England Captain, who became his mentor. Neil Mallett, who was England Under 21 Indoor Coach had this to say about Jas “ I was involved with him as both a member at Bournville hockey club and as a his coach when he became a member of the England Under 21 indoor team in the late 1980’s so had quite a bit of involvement and influence with him on and off the hockey pitch at a time when he was developing and his embryonic years and his approach to the game as a whole. We had several one to one indoor sessions here in Birmingham as part of him striving to gain selection for the England U 21 team that I was involved in coaching at the time and he achieved both indoor and outdoor selection for England at Under 21 level- I’m pleased to say that the Chana family in particular his older brother Satbinder put their trust in me to help Jas along his hockey journey to take him to the next level. Jas was slightly different though in that he saw the need to evolve physically as well as technically (although he never really enjoyed the physical stuff that much) to meet and match the demands of the game that was now pretty much exclusively on synthetic pitches rather than natural grass. As we got to know each other better, trust was established and the competitive side of his personality began to show through as someone who wanted to win. I recall spending one particular session with him one to one at the BAI in Birmingham using an upturned wooden bench as an improvised makeshift sideboard and working with him in a left defender role in springing counter attacks to turn defence into attack using his instinctive skills to the full - he enjoyed that part. As a younger man, he was an intelligent, down to earth type of person, keen to talk about things and improve his own game in doing so. He earned his first England Under 21 outdoors cap when he was selected to represent England against Netherlands at a 3 Nations Tournament at Wagener Stadium, Amstelveen on 25 March 1989. He played left back and went on to win twenty one Under 21 caps. He played against Netherlands; Pakistan; Australia; West Germany; USSR; Spain; South Korea; USA; Argentina; Wales; Switzerland; France; Sweden and Ireland during this period and scored four goals. He also represented England Under 21 indoors squad. Allan Mayo, the England Under 21 Indoors Team Manager in 1989 said “Jas Chana was selected for the England U21 Indoor squad, aged around 18, and immediately made his mark as a player who was comfortable on the ball and hard working in defence. But it was his quiet, polite, unassuming nature and understated sense of humour, which shone through – an absolute pleasure to work with – and a player who was reliable on and off the field, who always gave of his best. The team won a Silver Medal in the European U21 Indoor Championships held in Orense, Spain in 1989 – the best performance by an U21 indoor team up to that point - and, on the way to the final, we defeated Netherlands U21, which was the first time they had been defeated in any U21 Indoor Tournament. Jasbinder was very much part of that success." That same year he was selected for the Junior World Cup played at Ipoh, Malaysia. Jas Chana, back row 6th from left, with the Gold medal winning Great Britain team in 1991. He was a member of Great Britain team that won the Gold at World Students Games in Sheffield in 1991 beating Germany in the final. Jas then moved to Cannock Hockey Club, winning the National league in 1996 with the Club and also playing in the European Club Championships. Chris Mayer, the former Great Britain and England international who was a team mate of Jas at Cannock had this to say "Jas Chana played a huge part in the early success of Cannock Hockey Club in the national league. He transformed the way that left half was played in this country with his guile and skill. Jas was a gentleman and will be missed." 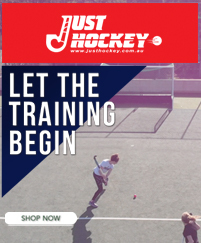 Jas played indoor hockey for Barford Tigers Club. He was a member of the team that won the DTZ International Hockey Tournament and played in the National Indoor Finals Nights at Crystal Palace on many occasions and finishing as runners – up in 1995. Jas Chana, standing 1st left with Barford Tigers Indoor team at Crystal Palace in 1995. Jagdeep (Jag) Singh Soor, his team mate at Barford Tigers indoor team for over ten seasons and a friend since the age of eleven paid this tribute “It is with deep sadness that we have lost Jas at such a young age. Jas gave so much to the hockey world and was respected as one of the top Asian players in his generation. He also was an inspiration to so many with his hockey playing ability, guidance, personality, caring nature and fun loving attitude. His legacy will continue for generations to come. May his soul rest in peace." He also represented Staffordshire County in the National County Championship and had short stints with Leamington Khalsa Hockey Club and Wednesbury Hockey Club, before taking on the role of coaching Juniors at Barford Tigers Hockey Club. He was also the role model and guidance for nephew Arjan Drayton-Chana, who has already made an impressive impact on the National and International hockey scene. His funeral is on Saturday 4 March 2017 at 11am at Sandwell Valley Crematorium, Newton Road, West Bromwich, B71 3SX. Jas leaves behind wife Karamjit Kaur Chana, daughter Amanjit Kaur Chana, his mother and five siblings.